The purpose of this course is to clarify the value and challenge of conflict in the church. Conflict is a necessary aspect of community life, and when properly led, can be a generative force for change and organizational health. The pastor is the primary conflict intervention leader and will be equipped with resources and understanding of conflict dynamics that will enable her/him to effectively lead a congregation toward reconciliation and relational health. 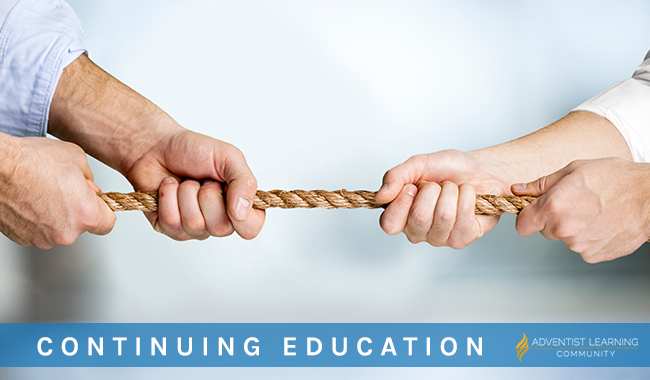 By the end of this course you will be able to analyze and determine the specific nature of a conflict and responsibly choose among several intervention options. Conflict analysis will include systems contributing or involved as well as established models that can determine where the primary catalyst of the conflict resides.